Sliding shower doors are perfect if you need to save space in your bathroom but still want a spacious shower and dry area to step into. 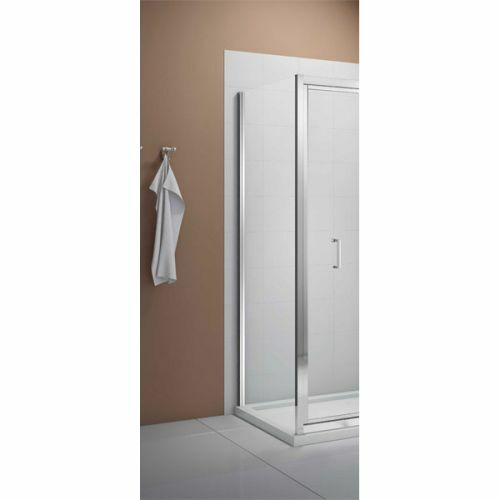 In this design one door mounted on double roller wheels slides behind the other on a track rather than opening out into your bathroom. This means you can fit other bathroom furniture in relatively close proximity. The sliding door can also easily be clipped off from the track should you wish to clean it. 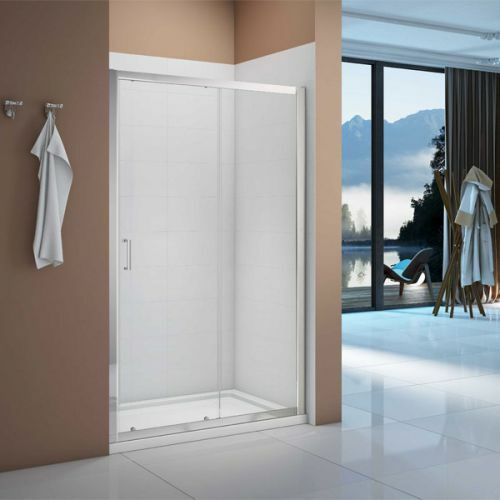 This enclosure pack comes complete with a matching side panel for fitting into a corner location and all glass is treated with Mershield easy clean glass coating so no cleaning is required! Like the shower door the side panel has slim wall profiles to create a contemporary look and safe and is constructed from sturdy British Safety Standards approved 6mm glass. Delivery from £27.99 depending on location. This product comes with a Lifetime Guarantee. Information about what to do should you need to make a claim can be found on the Guarantees page.